"Things just can't get any better." While we love to hear comments like this, it is exactly this kind of feedback that is a real motivator for the product developers at Wera. Those who thought that the wonderfully compact Tool-Check with its collection of 28 bits, 7 sockets, 1 socket adaptor, 1 Bit Ratchet and 1 Rapidaptor couldn't be beat are now rubbing their eyes with amazement. Thanks to the Kraftform handle that has now been integrated as the 39th part, it is immediately possible to create 28 different screwdrivers with the help of the new Tool-Check PLUS, using the handle and bits. 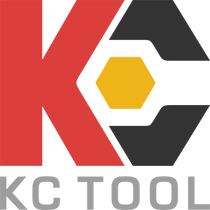 And every one of those screwdrivers feature all the advantages that the Kraftform handle has to offer like fast working speeds and the ergonomic handling with high torque transfer. I bought this set to replace an older Wadsworth falls set I had, that I can't get anymore. I had high expectations for it to compare to, and has exceeded them all. The only thing I'd mention is to be useful in a technician role, I ordered a 2, 2.5 mm hex bit to change with some of the less used bits in the set. I use it all the time and have bought a set for everyone that works in my department here. This is a killer set. It is compact and the tools are excellent quality. I've had my eye on the non-Red Bull Racing version of this tool set for some time, but when this came out I had to pull the trigger. Sure it costs a bit more, but as fan of the Red Bull F1 team I could justify it. Go Daniel Riccardo! As for tools, all top notch and in a very convenient package.Highly recommended!